Idris Elba is officially the next James Bond... at least in this fake trailer for Spectre made by Vulture. Using cuts from Luther and a few other Elba source materials, this trailer imagines him as 007, and, wouldn't you know it? He's practically perfect in every way, and just provides more solid evidence of the fact that Elba, from Luther and The Wire fame, should absolutely, definitely have already been offered the role. The hypothetical trailer is a fun what-if, but it loses some of that novelty factor when you consider the fact that the things blocking Elba from Bond status are sinister. 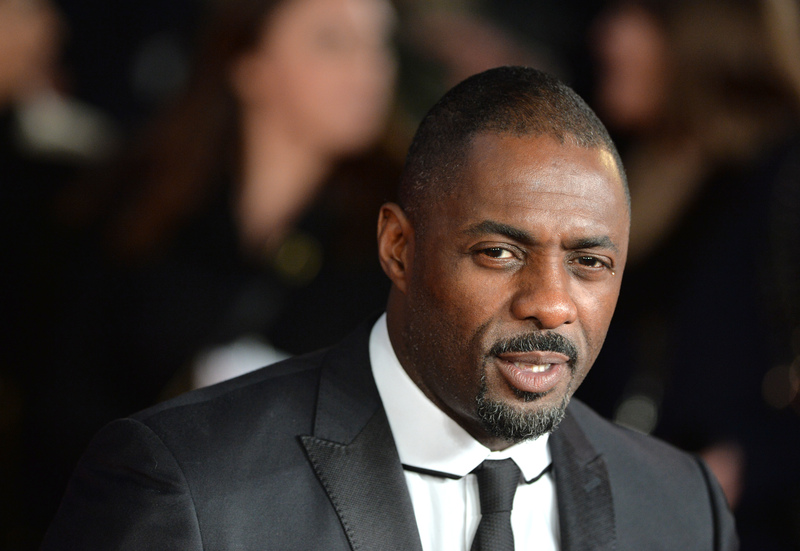 Namely, the fact that current James Bond author Anthony Horowitz said that Elba was "too street" to play the secret agent, and later tried to eat his words when he was rightly called out for its racist implications. Elba responded with class, style on his Instagram, captioning a screenshot of the "too street" comment with some choice words for the author. Even though Horowitz attempted (and failed) to clarify and apologize, it's an uncomfortable truth that there are probably other Bond fans out there that don't want to see a black man in the iconic role. And that's poppycock, to borrow a phrase from Bond's homeland. In the trailer, Elba is imagined as a "gritty" Bond, one of the words that Horowitz used in his faux-pology, saying "Clumsily, I chose the word ‘street’ as Elba’s gritty portrayal of DCI John Luther was in my mind but I admit it was a poor choice of word." But Daniel Craig, the current James Bond, whose job will be open soon, is perhaps the grittiest Bond that's ever been — he's emotional, he's volatile, he's rough around the edges. Is that not grit? Other naysayers include, disappointingly, a former Bond: Roger Moore, who played Bond in the '80s, said that Elba wasn't "English-English" enough to play the role, even though he said in the same sentence that Bond has already been played by a Scot, a Welshman, and an Irishman. Okie dokie, man. But besides these blind dudes, Elba has the support of basically everyone on earth, except for the actual James Bond franchise, which elicits more than just a side-eye. "I’m not speaking to the James Bond people. They are not speaking to me," Elba recently told Variety. At this point, the ball is in the Bond franchise's court, and offering Elba the role would not only be symbolic, but a push forward in a franchise that Ian Fleming began in 1964. If there truly is going to be a Bond for our age, he should represent a British man that isn't white. And, though it seems so obvious, it bears repeating: James Bond is a fictional character, and nowhere does it say he is supposed to be a white guy forever until the end of time. Whatever happened to artistic interpretation? Let's face the facts that this fake trailer just proves tenfold: Idris Elba is a great actor, he looks phenomenal in a suit, and he can fight baddies with the best of them. What's the problem? Someone get this suave man a martini and a Bond contract, stat.